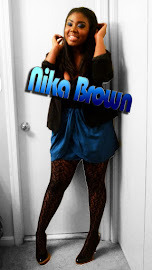 I think Im slowly but surely moving toward the dark side because I just created a tumblr (http://www.nikabrown.tumblr.com/) its for short little post I dont feel like posting a essay about on blogger. WHATS NEXT....A TWITTER!!!!! lol Im over exaggerated but thats what it feels like, I feel like Im abbondonung my beloveded blogspot but Im not. Im still going to be posting on here but the tumblr is for mor fun and fandom things that I feel it would be to unrelated if I posted on here so.......if you have a tumbr follow me! TUMBLR. Another reason I chose to get a tumblr is cause not everyone has a blogspot, I know more people with Tumblr than I do blogspot. So you guys will still see me posting on here probably more often then I do now. I need to get my night owl self to bed cause its 4:00am and Im still wide awake. Im such an insomniac thats its crazy!!!!! !